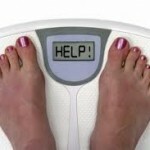 Clinical Detoxification and Weight Loss program to start feeling great and losing weight. Welcome to the 6 Weeks 2 Success program. This is a well tested program that provides an initial cleanse of gut, liver and kidneys to help support a successful weight loss and to lose toxicity in a safe and effective manner. The ‘Shake It’ lifestyle food plan is designed to support a long term healthy eating plan so the 6 Week 2 Success program is to ensure you are motivated, supported and educated into a long term goal of either weight loss and/or weight maintenance. It’s a great kick start to get you on the right track. The basis of the 6 Weeks 2 Success program is a 2 week clinical detoxification program to start eliminating toxicity from the gut, liver and kidneys in an effective and safe manner. 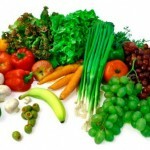 You follow a detoxification food plan based on the ‘Shake It’ Lifestyle eating plan. Once the detoxification phase is finished, you continue with the Shake It plan. You come in weekly to have your BioImpedance Analysis done to make sure you are on track and keep you motivated as well as time to answer any questions or concerns. Included is exercise you enjoy for 30 minutes x 4 times weekly including some High Intensity Interval Training during your exercise. Weekly Bio Impedance Analysis and Consultations. The program can be individualized to suit your needs, however there is a 20% discount to purchase the whole program in one payment. 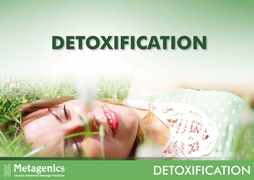 Why Detoxification First? With support and guidance from your Practitioner, following a detoxification program can be an effective strategy for improving the state of your health. Many toxic chemicals are fat-soluble molecules, which means they dissolve in fatty and oily solutions. For this reason, sometimes they end up being stored in fat cells. Because toxins are not water-soluble, they adhere to your organs instead of being eliminated as waste through your urine. Keeping your kidneys and liver clear of toxins is the key to a successful Detox. So losing fat cells is a primary part of detoxification but the body needs to remove these safely! Monitors your Biological Age which tells you how old your body really is! 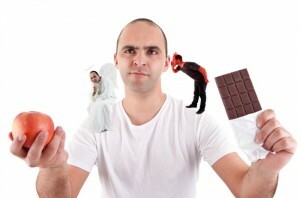 What is the ‘Shake It’ Lifestyle Food Plan? 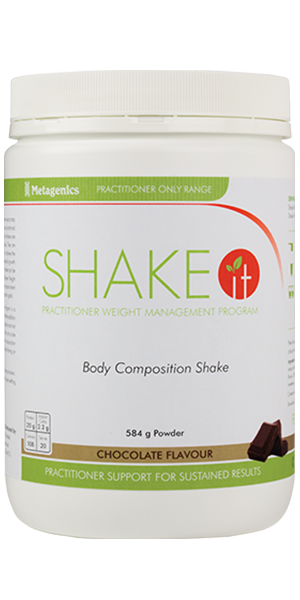 Shake It is only offered by qualified Healthcare Practitioners and is designed to enable you to lose weight and keep it off. High levels of dietary carbohydrates, also known as high glycaemic load foods (e.g. sugars and starchy foods such as bread, rice, pasta and potatoes), work with the hormone insulin to ‘switch off’ fat burning and increase fat gain. It becomes virtually impossible to lose fat if you have raised insulin levels. When your body’s blood sugar and insulin levels are low enough you will switch to a higher level of fat burning. This is the secret to Shake It. To burn fat you need to restrict high glycaemic load foods to a level where your body will produce less of the hormone insulin thereby increase the rate of fat burning. Eating less food is not the answer; you need to specifically reduce the high glycaemic index, carbohydrate-rich foods in order to ‘switch on’ fat burning. 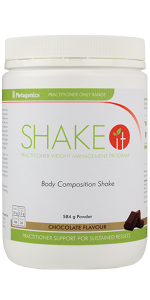 The Shake It program is based on hand size, so you eat the amount that is right for YOU. No calorie counting, points to calculate or dead, prepackaged foods to eat. HELP!!! That’s just what the 6 Weeks 2 Success offers! Help – in a nurturing and safe environment to kickstart you to a healthier future. Our program is scientifically supported through Metagenics Natural Medicine Research and Development . At the last visit, we work together to decide what steps you would like to carry on with. Do you want to continue with weight loss? Have you reached your goal and want a maintenance plan? Do you have other health issues that need support? The Metagenics products are Practitioner prescribed products ensuring quality with in-depth research and testing. The Bio Impedance Analysis is a registered screening tool so you can be assured of reliability. Phone 443 5991 or Email Start your plan today! !